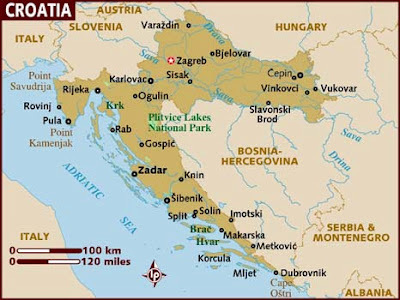 Croatia is located in the heart of Europe on the beautiful Adriatic Sea coast, bordering Slovenia, Hungary, Serbia, Bosnia and Herzegovina and Montenegro. The capital city is Zagreb. Some of the best-known resort towns along the Dalmatian coast are Dubrovnik, Split, Porec and Trogir, all of them listed on the UNESCO World Heritage List. The Northern Adriatic resort of Opatija, known for its long tradition in hospitality, was a popular destination among European nobility. 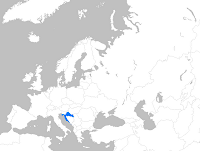 Croatia is a country of more than 1,185 islands, islets and reefs, of which only 67 are inhabited. The largest ones are Krk and Cres. Almost 9 percent of the country is protected as part of a national park or preserve. Out of eight national parks, seven are situated directly in or very near to the sea. The eighth one and also the best known national park in Croatia, Plitvice Lakes, is also listed as a World Heritage Site by UNESCO. 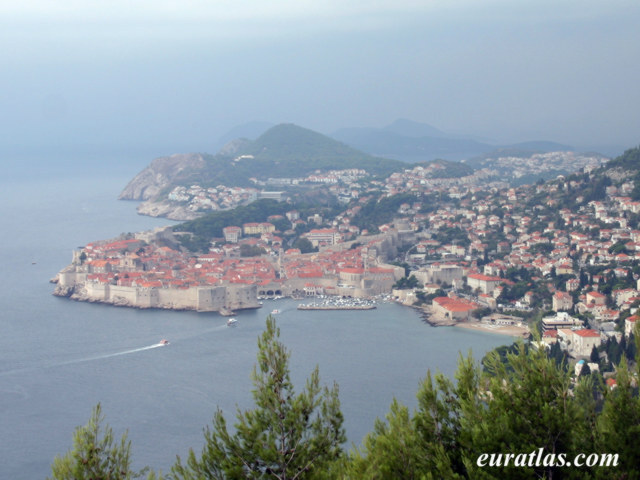 Croatia’s air quality has generally showed significant improvements over the past years. However, some air pollution problems still remain. The main type of air pollution in residential areas is particulate pollution, followed by SO2. Air pollution from metallurgical plant emissions is at times severe and causes acid rain that is damaging to the forests. The quality of freshwater in Croatia shows that the worst conditions are found in large rivers belonging to the Black Sea River Basin. Flowing through Croatia, the Sava River receives discharges of industrial and municipal waste. Additionally, some of the river’s tributaries have a high nitrogen and phosphorus content, which causes occasional river blossoming and oxygen deficiency. Numerous hydropower plants and water reservoirs in Croatia and in neighboring countries have changed the water regime of the Drava River. Within the framework of the Danube Convention, pollution hot spots on the Danube and its tributary rivers are monitored. The quality of Croatia’s drinking water is generally good, and the quality of underground water is considered good throughout the country. The Adriatic Sea along Croatia is generally clean. However, some environmental hot spots can be identified, like the northern part of the Adriatic Sea, which is polluted from the Po River in Italy. The quality of the sea water on some beaches decreases in the vicinity of sewage outlets from larger urban agglomerations. Water quality is endangered in areas near the major sea ports. According to the National Biological and Landscape Diversity Strategy and Action Plan (NBSAP), the most threatened areas are wetlands and aquatic ecological systems. The floodplain of the Sava River is extensive, resulting in wetlands that provide a habitat for numerous plant and animal species. These wetlands are at risk as a result of encroaching agriculture, drainage and land reclamation, and water pollution. Croatia protects almost 9% of its total land area in parks and other reserves. Forests make up 34.3 % of the country’s land area but deforestation is sometimes a problem. Forest fires, mostly caused by human irresponsibility, have been on the increase in the areas with Mediterranean vegetation, and pose a pressure as regards soil degradation. The fires diminish soil fertility and increase susceptibility to erosion. The soil surface is exposed to water and wind erosion of varying intensity. The situation is more severe in the karst area, where erosion has already reached the geological base. Significant contamination of soil exists in certain areas affected by war. As of 2001, there were 10 mammal species and 6 bird species that were considered threatened. Endangered species include the Atlantic sturgeon, slender-billed curlew, and the Mediterranean monk seal. During the 20th century Croatia has shown a trend of decreasing precipitation and increasing temperatures, in most places during most seasons. Due to climate change, Croatia is expected to be hotter and drier, especially in the summer and it may also face significant vulnerability to sea-level rise. A total of over 100 square kilometres of land would be submerged with a sea-level rise of 50 cm. Other effects could be more droughts, affecting agriculture and natural environments, especially wetlands, decreased river flows, and perhaps lower levels of the groundwater used for drinking. Low levels of civic engagement in communities and society constitute a weak foundation for civil society in Croatia. Membership in organisations is not growing. Meanwhile, formal volunteering levels are low, in part because volunteering is rarely regarded as a resource which could be used in public institutions, and in part because it does not tend to be seen as a civic virtue worth promoting vigorously. With the economic crisis set to push citizens ever closer to the survival line and preoccupy them further with dealing with their own immediate problems, the motivation to volunteer one’s time freely may be further undermined. The impact that civil society achieves is still questionable. External stakeholders perceive that civil society achieves only limited impact. Where reforms are undertaken, they still usually derive from centres of power at the top. Public debates are still undeveloped and rarely institutionalised, while “cooperation” is often achieved through confrontation. Such circumstances and the absence of mechanisms perpetuate a situation in which civil society organisations are reactive, rather than proactive. There is also a widespread belief that CSOs financed from the state budget are less critical of government in their work and limited in their influence on policies and programmes. CSOs play a widely recognized and crucial role in environmental protection. Environmental activities receive significant media attention and environmental organizations attract a wider group of more influential citizens to their membership than the average CSO. According to the European Values Survey (EVS) 2008, 2.5% of citizens belong to environment organisations. Contributing to such initiatives has become a status issue for younger middle class Croatians. According to OECD there are about 36 environmental taxes in Croatia, among which 10 regard fuel and vehicles, 2 regard air pollution, 6 regard water, 8 regard waste, while the remaining 10 refer to use of resources and nature protection. There is also an environmentally motivated subsidy with the purpose of reusing of glass packaging and waste minimization. Several action plans have been drafted with the aim to support environmental practices. The “Action plan for sustainable consumption and production” represents a framework for the development and implementation of programs and measures for sustainable consumption and production in the five-year period. The “Action plan on Adriatic Sea, coast and islands” is an important document that promotes efficient resource management of the coastal zones and the sea. The Environmental protection and energy efficiency Fund (EPEEF) performs financing, preparation, implementation and development of programs, projects and related activities in the field of conservation, sustainable use, protection and improvement of environment and in the field of energy efficiency and renewable energy use. The National Waste Management Strategy assesses the situation, identifies the problems and obstacles and establishes the framework for waste reduction and sustainable waste management. The strategy is being implemented through a National Waste Management Implementation Plan 2007-2015. The Water Management Strategy is a fundamental national long-term strategic water management document, establishing a unified water management policy and an integral and coordinated approach to improving the water system in line with international commitments. The Air Quality Protection and Improvement Plan for 2008-2011 is an enforcement document which sets up fundamental objectives of air quality protection/improvement and long-term measures for their accomplishment. The Strategy and Action Plan for the Protection of Biological and Landscape Diversity for 2008 - 2018 focuses on conservation of biological and landscape diversity, harmonization of legislation with the relevant EU directives and regulations, meeting the obligations resulting from the international agreements, etc. The Energy Strategy has a purpose to define the development of Croatian energy sector by 2020 while acknowledging accession process and adoption of the EU acquis thus ultimately building sustainable energy. The National forest policy and strategy aims at increasing the contribution to the national economy by sustainable management, use and comprehensive protection of forest resources and biodiversity. The Strategy for the development of Industrial processing of wood and paper recognizes that the ecosystem management should become one of the priority activities for each branch of this sector. The main purpose of the Strategy for agriculture and fisheries is to determine the dynamics of the realization of the objectives defined by the Law on Agriculture. A few of those objectives refer to sustainable management and efficient use of national resources. The trend of increasing corporate social responsibility was identified as laying the foundation for the possible development of the sector and enhancing its contribution to positive social change. However, although business actors in Croatia have started to discuss the importance of corporate social responsibility, cooperation between business actors and civil society to implement projects aimed at serving the public good is still rare. Corporate social responsibility in Croatia only became a topic of discussion at the beginning of the new millennium. Research revealed that the type of welfare state emerging in Croatia does not contribute to the development of a socially accountable corporate sector since the corporate sector is obliged to pay high taxes and contributions for social and public purposes, yet the corporate sector is not seen as an important stakeholder for society at large. As a result, only a small number of firms are beginning to establish socially responsible relations in the communities in which they are active and there is uncertainty among these firms about their returns for social investments. Overall, the corporate sector considers CSOs solely as beneficiaries of their support, while the associations consider the corporate sector solely as donors. Such a narrow view of civil society business relations results in a limited number of partnerships between CSOs and the corporate sector. Moreover, companies do not have a clear policy of corporate responsibility and are unaware of the impact a company’s reputation can have on its economic success. In general, firms see this type of spending as another way of spending money on marketing or sponsorship, rather than as their social responsibility. Another problematic aspect of corporate social responsibility is the green wash phenomenon, by which major companies which are frequent environmental polluters, buy the approval of the community through donations and sponsorship. Companies that are a part of the Croatian Business Council for Sustainable Development promote the concept of sustainable development, through corporate responsibility. However, these companies form only a small minority among Croatian businesses.